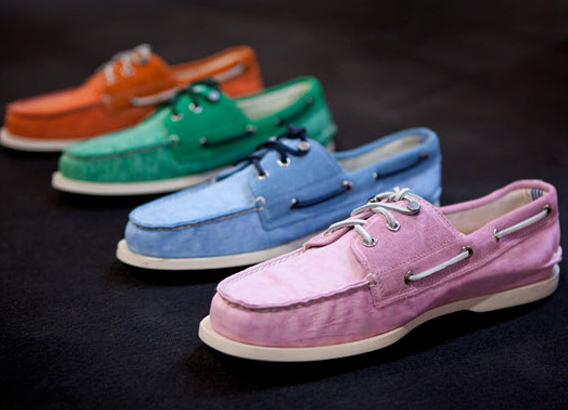 Fresh on the heals of their last venture with Sperry, Band of Outsiders is at it again with a new collaborative effort with the OG's of the boat shoe, Sperry. The Orange and Green pairs can stay in the background in my opinion, but the blue and light pink shoes could definitely get worked in to the rotation! Info via the Feed.